A tall cylindrical cheese, Ami du Chambertin was created in 1950 by Raymond Gaugry. It is a washed rind soft cheese that is made using the skills and know-how inspired by the farm women of Côte d’Or. Its name is derived from the winemaking region in which it is produced (close to Gevrey-Chambertin). The winemakers of Gevrey-Chambertin appreciated this cheese enormously, and frequently used it to accompany their wines, for which it proved to be the perfect foil and partner. It’s a cheese with pronounced aromas and a thin, flexible, wrinkled and shiny and orange/red rind in colour. In terms of flavour, this cheese is powerful at the edges and more subtle and creamy at the heart. 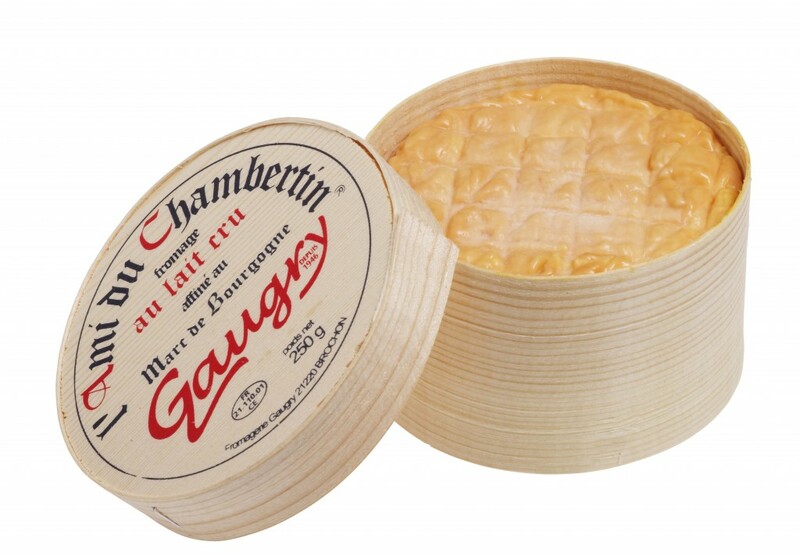 Serve this cheese warm with a salad and a red wine, such as Gevrey-Chambertin village.